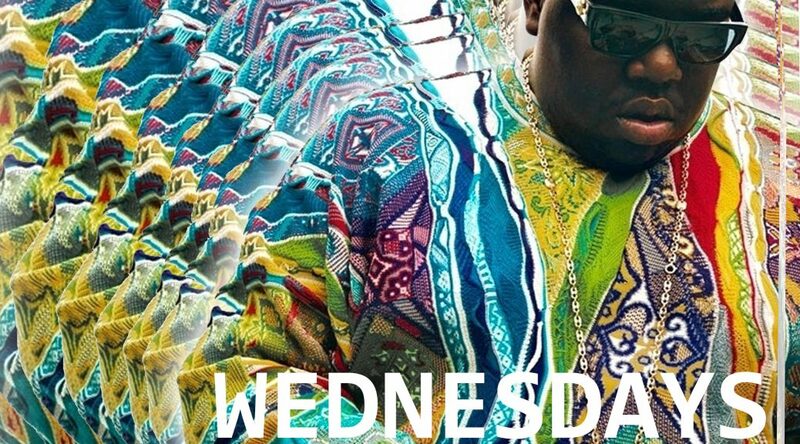 Join us every Wednesday and Thursday for a delicious array of Biggie inspired food and the many sounds of Bad Boy Records in celebration of their 25th anniversary! Chicken Gristle Eatin’ Biscuit Suckin’ Muthafucka-Spicy fried chicken, house made sausage gravy, deli-sliced pepper jack cheese, and a splash of Southern hot sauce served on chef Jack’s fresh large homemade buttermilk biscuit. Gimme the Fruit-3 Chili Lime Carnitas style tacos topped with diced onion, cilantro and our house-made Sriracha sauce. Ready to Fry-Seasoned pan seared Ribeye steak, hand shredded cheddar cheese, house made garlic aioli, diced green onions & a fried egg piled atop golden French fries. Get Honey-Crispy fried chicken topped with our house-made honey butter. Served with chips. Me & My Wich-Fried green tomatoes, bacon, leaf lettuce & our house made pimento cheese spread served on toasted white bread.